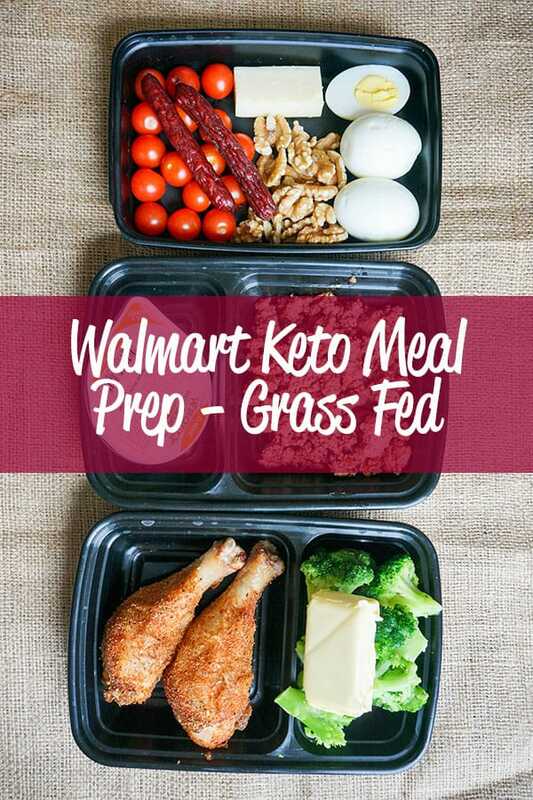 Walmart Low Carb Meal Prep | Grass Fed Keto on a Budget! Just about everyone is looking for to balance eating good quality foods with saving money. This low carb meal prep from walmart is just that! It includes fats from grass fed animals and manages to keep the cost down to a reasonable level. If you're looking for the absolute cheapest meal prep for a keto diet, be sure to check out our Keto on $5 a Day Meal Plan. 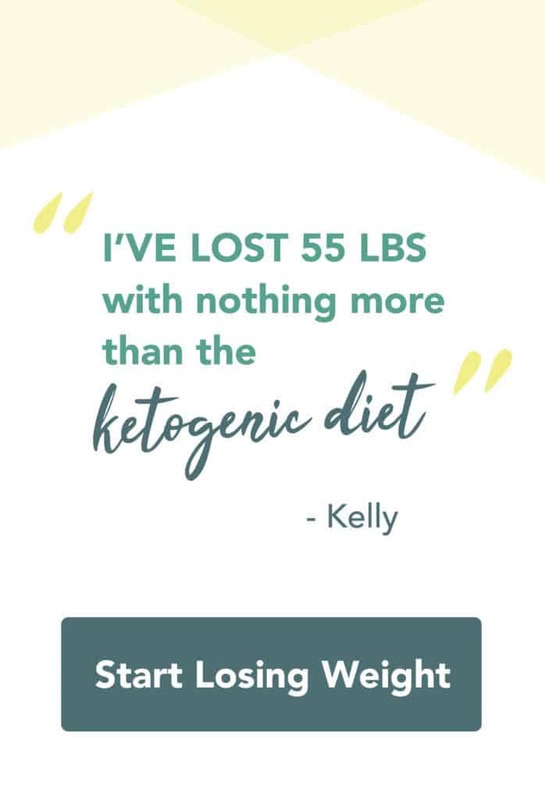 If you are looking for a fully guided 50 day weight loss plan, we would love to have you in our amazing Keto Meal Prep for Weight Loss Community. Hundreds of people have completed our 50 day plan with incredible results! We want to help you become one of them. Grass fed butter is going to be the cornerstone of any cheap and healthy low carb meal prep. It's extremely cost effective and provides a good chunk of the fat you're going to need in this 5 day plan. Kerrygold is a good brand and can be found in most stores in the United States these days, but you may be able to find some even better local stuff if you look hard enough! You may be delighted to realize that the fattier cuts of meat happen to be the cheap ones. It's great! Switching to a keto diet can drastically cut down the amount of money you spend on proteins, which are the most costly parts of any diet. The cheapest stuff tends to be ground beef, chicken legs and thighs, as well as certain cuts of pork. We like to shop sales and adjust our plan in accordance with what's discounted. Not only is meal prep a big money saver, but it also helps a ton with adherence. Having meals at the ready is crucial! The fact that there isn't a lot of ready to eat food that fit within the guidelines of keto, meal prep is even more important! As soon as you start meal prepping you won't believe how much easier sticking to keto is. As always, we walked into Walmart with an open mind. We had a general plan, but we were open to changing the plan based on sales. We knew that grass fed butter and grass fed ground beef were going to make it into the plan, but we filled the rest of this low carb meal prep plan in with sales and whatever looked good! Be flexible! 2 Large Meals + A Snack Box! This is probably our favorite format of eating. We always have 2 large meals, and sometimes a snack or 2. This meal plan can be flexible in that the snack box can act as a meal on its own. Especially if you need to bring lunch to work, this snack box is perfect! The snack box for this plan is perfect! You can interchange some of the pieces to fit your tastes, but the concept is great! If you're just getting started on a keto diet it can be nice to have a big box of stuff to eat when you get cravings. Be sure to download the full meal plan below to get all of the specific cooking instructions and ingredient amounts. Chili is the perfect meal prep food. It's easy to make, has perfect keto macros, and is great in the microwave or reheated in the oven the next day. Download the guide below, which should be used in tandem with our meal prep video to make this exact meal prep easy to replicate at home! The last portion of this meal prep was a complete audible on our part. We were originally thinking of making a chicken thigh curry over some cauliflower rice. Unfortunately Walmart was completely out of cauliflower rice and they didn't have any skin on thighs. We couldn't even find fresh broccoli! We had to settle for frozen broccoli. Instead of thighs we decided to go for some chicken drumsticks. They looked nice and fresh and were priced within our budget. Top the whole thing off with a nice chunk of butter and you're all set! Level Up Your Meal Prep! If you find this keto meal prep to be beneficial and want to take it to the next level with over 2 hours of cooking videos and a proven 50 day keto weight loss program then be sure to check out Keto Meal Prep For Weight Loss! Detailed instructions for how to prepare each meal and exact ingredient amounts so you know you're getting the right nutrition. Quick and easy printable shopping list so you can grab everything in 1 trip to the store and start this meal prep asap! Meal plans for a variety of calorie levels. If you need more or less than 1800 calories a day (and chances are you do) then this is what you're looking for.